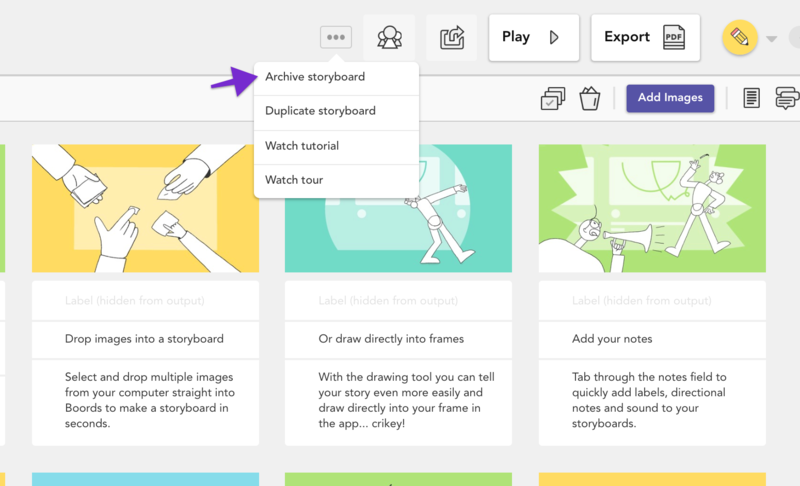 If you no longer need access to a storyboard, you can archive it and have it removed from your Project Dashboard. Archiving a storyboard also means that anyone you've shared the shareable link with won't be able to access it anymore. When a storyboard or project is archived, it'll remain in the Storyboard Archive and can be restored, if necessary. 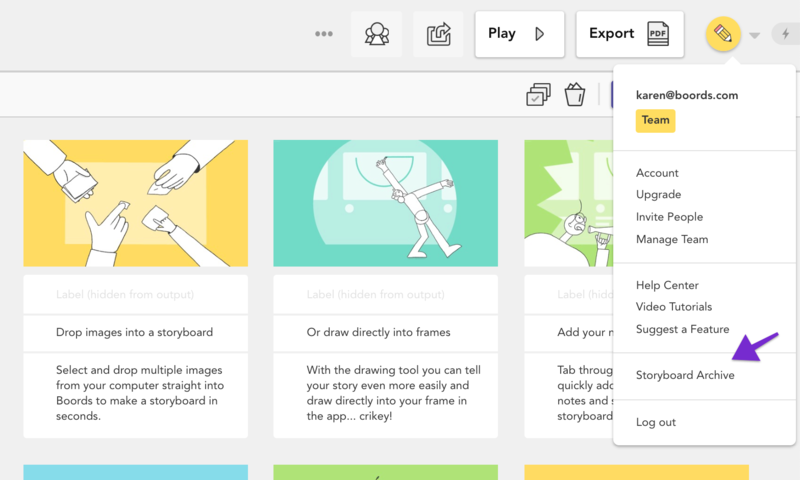 ☝️Note: The Storyboard Archive is only available on Plus & Team plans. If you archive a storyboard on a Free plan, it won't be possible to restore it at a later time. For more information about what to do on a Free plan, check out this article. Open the storyboard that you'd like to archive and click the three dots icon. From the dropdown menu, select Archive storyboard. If you've accidentally archived your storyboard and would like to recover it, you can do this from within the Archive. To access this, select Storyboard Archive from the dropdown menu in the top right-hand corner. Here you'll see a list of all your archived storyboards and you'll be give the option to restore them. You can also completely delete your storyboards from the database, if needed.